Product prices and availability are accurate as of 2019-04-18 16:50:28 EDT and are subject to change. Any price and availability information displayed on http://www.amazon.com/ at the time of purchase will apply to the purchase of this product. 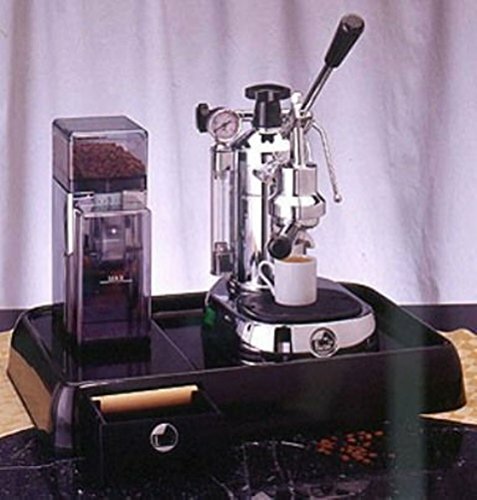 The La Pavoni large black base with sliding drawer has a modern design and larger area for your espresso machine and grinder. 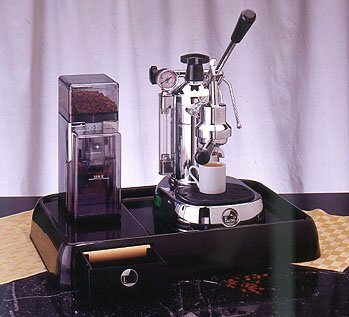 It is suitable for all La Pavoni lever and pump machines except the Duet. 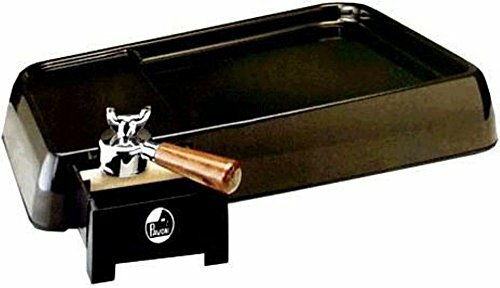 This unit is made of heavy steel sheet metal, and has a sliding knock box which allows for quick disposal of grinds, or doubles as a storage compartment. 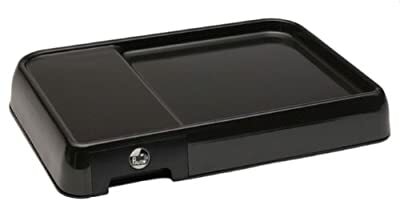 Rubber feet aid in protecting counter top.